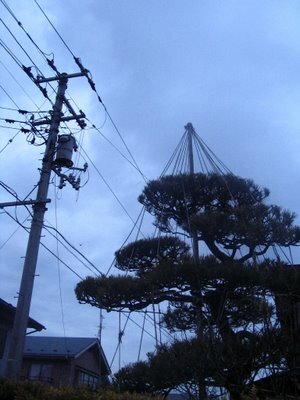 I remember these roped trees from my second visit to Japan. The ropes are tied to branches to keep the snow from breaking them. :) Very clever!